I’ve made a card where I tried something new. 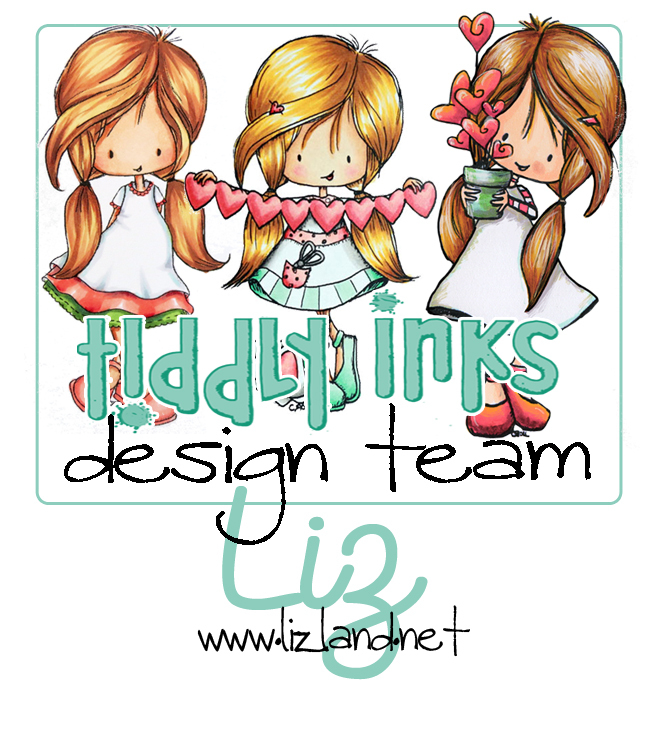 I decided to stamp the dress of the adorable little girl because the background stamp seemed so perfect for a dress! 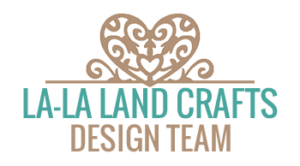 The stamp set I’ve used is Just for You from the new La-La Land Crafts release. 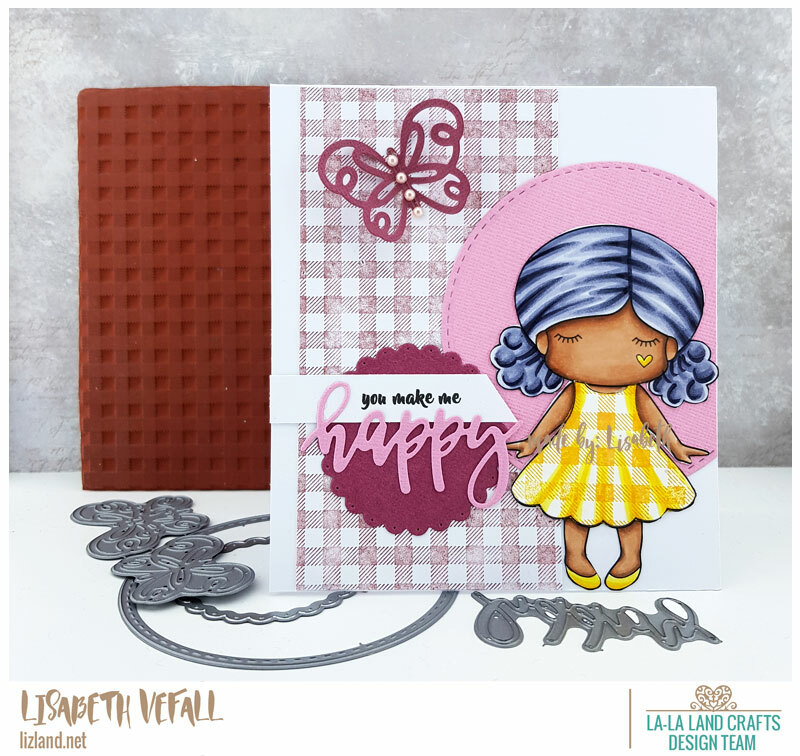 I absolutely love this new background stamp! To get this effect on the dress, I first stamped the background stamp in the colour I wanted the dress, and then I stamped the girl over the top of it. Then I fussy cut out the dress before I used my Copics to draw in some shadowed areas on the dress. Afterwards I glued it onto the girl stamp I’d started colouring up and voila! The background stamp is stamped with a deep red Distress Ink, whereas the dress is stamped with a yellow shade of Distress Oxide Ink. Copics used: (skin) E13, E15, E27, (hair) BV20, BV23, BV25, BV29, (dress and shoes) Y13, Y19.